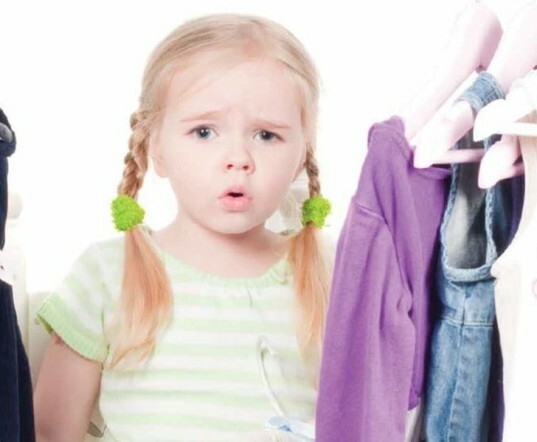 A new in-depth report by Greenpeace warns that toxins aplenty are likely lurking in your child's closet. The report, covered by Ecouterre, unearths the fact that many major children's clothing and footwear brands, including American Apparel, Burberry, Disney, Gap, and Uniqlo are tainted with hazardous chemicals. Because your kiddos are particularly vulnerable to chemicals and other toxic substances, it's wise to seek out safer, toxic-free clothing. This is often easier said than done, as almost zero clothing companies design safe, eco-minded clothing for older kids. Still, as a parent there are steps you can take to reduce your child's exposure to harmful chemicals in clothing. 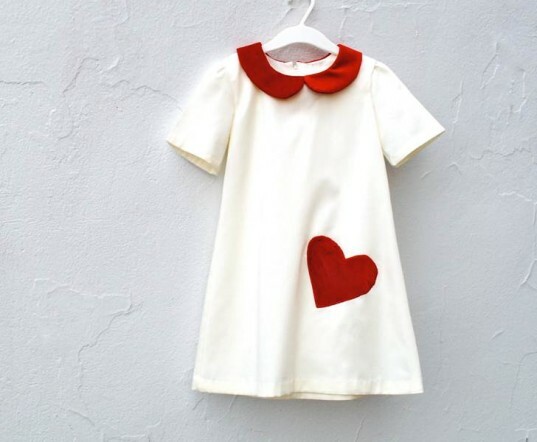 Read on to learn more about this disturbing report as well as how to find non-toxic clothing -- and learn about children's clothing brands that are safe for your precious tots to wear. The new Greenpeace report is part of their Detox campaign within which Greenpeace tested multiple child clothing brands for hazardous chemicals and found that not even luxury clothing labels protect your little ones. According to the report, high quality, well-known luxury clothing brands may contain carcinogenic chemicals and/or endocrine disruptors. Greenpeace found harmful plasticizers (phthalates) in t-shirts and PFCs in clothing made by Adidas, Nike, Puma, Burberry and H & M. They also found nonylphenol ethoxylates ( NPE ) a chemical that causes harmful hormonal effects in Burberry, C & A, American Apparel and children’s branded Disney clothing. All in all, around 82 textile products were purchased within 25 countries/regions worldwide from flagship stores or authorized retailers, but no matter where the clothes were purchased, or what age group the clothes were for – i.e. babies, kids or adults, Greenpeace found harmful chemicals in the clothing. Potentially promoting the growth of tumors and cancer. Releasing chemicals into our water supply. How will this issue be fixed? Greenpeace themselves are calling upon governments around the world, asking them to adopt safer political commitment eliminating all hazardous chemicals within one generation. Clearly though, major textile corporations have a possible larger reach, and obviously larger wallets than Greenpeace. While these companies have the power to eliminate chemicals, it may be an upward battle to get them to do so. In fact, Greenpeace notes that since the launch of Greenpeace’s Detox campaign in July 2011, 18 major clothing companies have made public commitments to Detox their supply chains, but that some extremely large companies including adidas, Nike and LiNing aren’t following through. Other brands have made only minor changes to their clothing lines. Basically, clothing companies are a-ok with you and your kids wearing chemical clothing. This is where consumers come in. YOUR clothing purchases can make a huge difference. You don’t have to buy from clothing companies who chose to continue to pollute the environment and your body. In the next few sections, we’ll look at how consumers can make a huge difference when it comes to chemicals in clothing. Your children deserve clothing free from hazardous chemicals, but since kids don’t often shop alone for clothes, it’s up to you to make important decisions about the clothes your kids are wearing. You can challenge major clothing brands to cut the chemicals once and for all. Email companies through their websites and let them know, you’ll buy their clothing when they quit using harmful substances in said clothing. 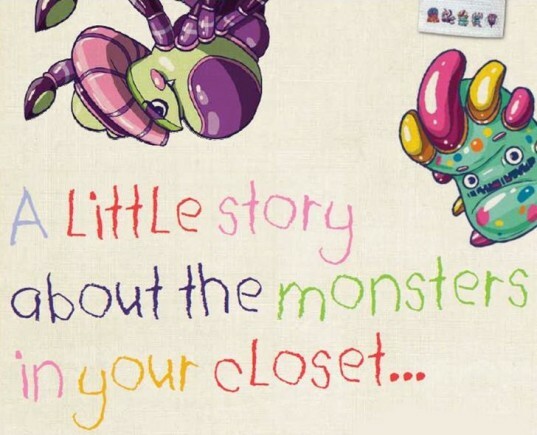 The “Little monsters” report highlights many of the clothing companies you’ll want to avoid. Get involved with government issues surrounding chemical reform. If clothing companies refuse to change, working with the folks who monitor these companies may be the best route. To learn more about chemical reform and to get involved, check out The Safer Chemicals, Healthy Families coalition. Teach your kids about the issues. Kids are smart and can be awesome consumers if you give them all the facts. Let them know why you’re boycotting a specific brand and why you chose another, safer brand. Most importantly, only buy clothing from companies who are already chemical-free, as much as they can be, or who are actively working towards a safer clothing line. What kind of clothing should you buy? What if you can’t find safer clothing? If you’re a parent of a baby or toddler, congratulations! Eco-friendly, safe clothing is super easy to find. If you’re the parent of an older child, especially sons, you’re in for a challenge when shopping for green clothing. Clothing companies simply don’t make safer, eco-clothing for older kids and while that stinks, you can find safer clothing if you try. For example, many chemical finishes on conventional clothing fade away with time, wear and multiple washes, so buying clothing at thrift stores is an awesome way to get safer, and much less expensive clothing. To learn more about finding safer clothing for older kids, read the following: Why is it so Hard to Find Eco Clothing for Boys? The new Greenpeace report is part of their Detox campaign within which, Greenpeace tested multiple child clothing brands for hazardous chemicals and found that not even luxury clothing labels protect your little ones. According to the report, high quality, well-known luxury clothing brands may contain carcinogenic chemicals and/or endocrine disruptors. Greenpeace found harmful plasticizers (phthalates) in t-shirts and PFCs in clothing made by Adidas, Nike, Puma, Burberry and H & M. They also found nonylphenol ethoxylates ( NPE ) a chemical that causes harmful hormonal effects in Burberry, C & A, American Apparel and children's branded Disney clothing. All in all, around 82 textile products were purchased within 25 countries/regions worldwide from flagship stores or authorized retailers, but no matter where the clothes were purchased, or what age group the clothes were for - i.e. babies, kids or adults, Greenpeace found harmful chemicals in the clothing. Photo by Greenpeace Why should you care? The study, "Little monsters in the closet", as you can see in the previous section, highlights some pretty scary stuff in kids clothing. Not only does the report confirm that the use of hazardous chemicals in textiles is still widespread, but these chemicals cause issues such as... Reproductive hormone problems. Hormone disruption in general. Potentially promoting the growth of tumors and cancer. Releasing chemicals into our water supply. Penetrating bodies of marine animals, leeching into the planet and food chain. And more. Photo by Greenpeace How will this issue be fixed? Greenpeace themselves are calling upon governments around the world, asking them to adopt safer political commitment eliminating all hazardous chemicals within one generation. Clearly though, major textile corporations have a possible larger reach, and obviously larger wallets than Greenpeace. While these companies have the power to eliminate chemicals, it may be an upward battle to get them to do so. In fact, Greenpeace notes that since the launch of Greenpeace’s Detox campaign in July 2011, 18 major clothing companies have made public commitments to Detox their supply chains, but that some extremely large companies including adidas, Nike and LiNing aren't following through. Other brands have made only minor changes to their clothing lines. Basically, clothing companies are a-ok with you and your kids wearing chemical clothing. This is where consumers come in. YOUR clothing purchases can make a huge difference. You don't have to buy from clothing companies who chose to continue to pollute the environment and your body. In the next few sections, we'll look at how consumers can make a huge difference when it comes to chemicals in clothing. 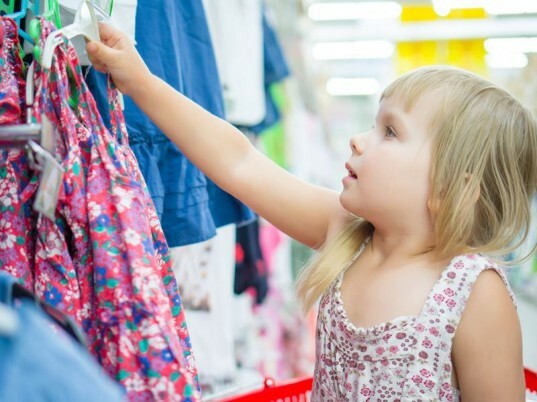 Your children deserve clothing free from hazardous chemicals, but since kids don't often shop alone for clothes, it's up to you to make important decisions about the clothes your kids are wearing. You can challenge major clothing brands to cut the chemicals once and for all. Email companies through their websites and let them know, you'll buy their clothing when they quit using harmful substances in said clothing. 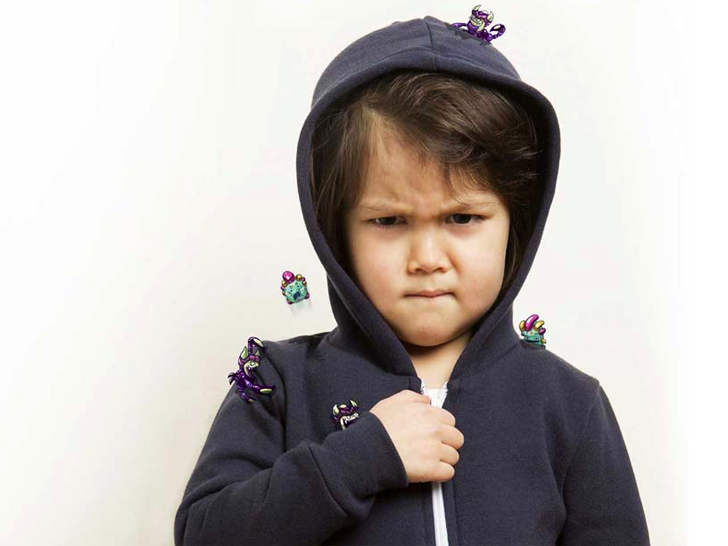 The "Little monsters" report highlights many of the clothing companies you'll want to avoid. Get involved with government issues surrounding chemical reform. If clothing companies refuse to change, working with the folks who monitor these companies may be the best route. To learn more about chemical reform and to get involved, check out The Safer Chemicals, Healthy Families coalition. Teach your kids about the issues. Kids are smart and can be awesome consumers if you give them all the facts. Let them know why you're boycotting a specific brand and why you chose another, safer brand. Most importantly, only buy clothing from companies who are already chemical-free, as much as they can be, or who are actively working towards a safer clothing line. Photo by SewnNatural What kind of clothing should you buy? Photo by Shutterstock What if you can't find safer clothing? If you're a parent of a baby or toddler, congratulations! Eco-friendly, safe clothing is super easy to find. If you're the parent of an older child, especially sons, you're in for a challenge when shopping for green clothing. Clothing companies simply don't make safer, eco-clothing for older kids and while that stinks, you can find safer clothing if you try. For example, many chemical finishes on conventional clothing fade away with time, wear and multiple washes, so buying clothing at thrift stores is an awesome way to get safer, and much less expensive clothing. To learn more about finding safer clothing for older kids, read the following: Why is it so Hard to Find Eco Clothing for Boys?